Many LGBTIQ* parents and children are still deprived of their rights. Not only at a national level, but also when it comes to free movement rights within the European Union. EU citizens and their family members should be able to cross borders without losing their rights (Directive 2004/38/EC). Practice, however, has shown that many rainbow families have mayor problems to move. 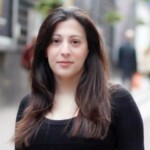 NELFA and its allies want to support you with your legal struggles! 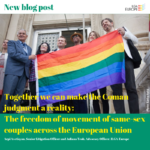 Our friends from ILGA-Europe just started a new blog concerning the important Coman case judgment at the European Court of Justice in Luxembourg (June 2018). You will find very useful information about your freedom of movement and how to start a complaint whenever you face difficulties. In September 2018, NELFA has started a documentation on freedom of movement cases of rainbow families. It is updated on a regular basis. If you have your own experiences and struggles, please share them with us and write an email to: info@nelfa.org!